Kingswood Commercials Ltd and Navan Bus and Truck Services Ltd and Kingswood Commercial Vehicle Test Centre Ltd are three companies that are run under the one umbrella and the services that they provide their large customer base are second to none. General Manager of all three firms is Shay Murphy and for this month’s edition of Irish Trucker, we profile the three companies in this article. First we will take a look at Navan Bus And Truck and reveal what makes this branch of the business so successful. With A state-of-the-art depot in Gibbstown, Navan, Co Meath, Navan Bus And Truck specialises in the servicing, repair and maintenance of coaches, buses and commercial vehicles. 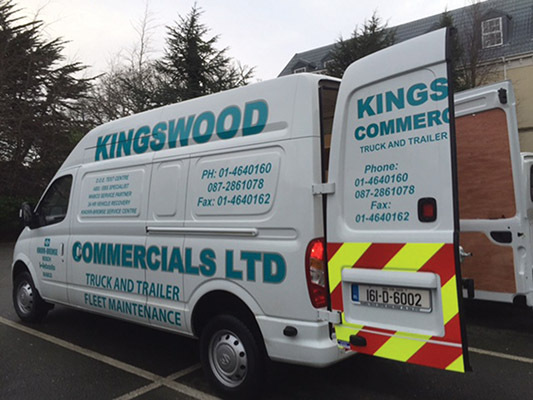 Kingswood Commercials based in West Dublin are the parent company of Navan Bus And Truck Navan Bus And Truck offer a full range of repair services to the bus and coach industry as well as the haulage sector. Core activities include the servicing and repair of all PSVs and HGVs;; body refurbishments (floors, seating glass etc. ; structural work and fitting); modification work; auto-electrical; anti-corrosion treatments; Air con repairs and computer diagnosis on all vehicles. Navan Bus And Truck are Irelands leading ABS and EBS specialists, Operating from a fully-equipped commercial vehicle workshop in Navan, with a vast range of cutting-edge equipment and tools to provide optimal fault-finding and repair solutions on coaches and trucks, Navan Bus and Truck employ a team of experienced mechanics/technicians who are City & Guild/Fetac qualified. 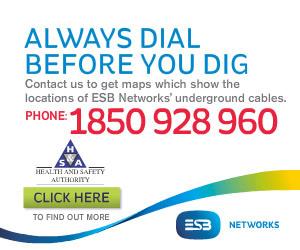 To ensure a complete one-stop-shop under one roof,Navan Bus and Truck offer customers an around-the-clock mobile call-out service specialises in mechanical, electrical and pneumatic systems. Navan Bus And Truck have the facilities and capacity to carry out literally any work on a coach, bus or commercial vehicle, from general maintenance and repairs to diagnostics, refurbishments, fitting etc. etc. Skilled personnel play a key role in the success and sheer professionalism of the operation. “All of our technicians would have served their time in the PSV/HGV,”says Shay and has been with us since the start, a number of our mechanics have also served their time with us. The fact that Navan Bus and Truck boast a long-running partnership with Ireland’s largest company speaks for itself. “We have been working for Bus Eireann since the early days and that work has continued with them right up until now,”Shay confirms. “This work is the backbone of our business and we’re very proud to be associated with them. We maintain a section of Bus Eireann’s school fleet as well as a crash repairs, bodywork, respraying programme, a refurbishment programme and carry out modifications to buses. While the work carried out is primarily in the bus and coach sector, a considerable amount of commercial vehicle servicing and repairs are also completed at our Navan Depot . About 75% of it would be bus and coach,”Shay estimates. “We also work for local haulage and oil companies, close to the depots. To run a cutting –edge operation such as Navan Bus and Truck necessitates huge investment. Things are evolving very quickly in terms of the technology that’s in the vehicles, so you have to invest in the latest diagnostic gear and also keep all of the lads up to speed. In addition to the aforementioned public contracts, regular work is also done on behalf of Galway Tours company, Swilly group as well as local private companies such as Nelson Coaches, Fitzsimons Coaches, Kelly Coaches, and Irish School of Motoring. Looking to the future, Shay Murphy promises that Navan Bus And Truck will continue to deliver the high-quality services for which they are renowned. “We’ll keep doing what we do best. We have a couple of irons in the fire regarding expansion and the future development of the company, which could see us diversify further. We’ll see how that goes. Kingswood Commercial Vehicle Test Centre Ltd: One of Ireland’s leading CRVT, service and repair centres As one of Ireland’s leading CVRT and commercial vehicle service centre, Kingswood Commercial Vehicle Test Centre Ltd allows operators to keep downtime to an absolute minimum by having their vehicles tested at a time that suits them. Conveniently located just off Junction 2 off the N7, Kingswood Commercials Ltd’s fully-equipped workshop caters for all light and heavy commercial vehicle needs, from a minor service, safety inspections or CVRT preparation work through to a complete refurbishment, with all work carried out by experienced and qualified professionals. The workshop team of 10 includes motor technicians, HGV technicians, metal fabricators, tachograph and speed limiter technicians and CVRT testers, ensuring that consistent high-quality, friendly, professional and reliable solutions are provided in line with operator expectations. In addition to high standards and versatility, another thing which really sets Kingswood Commercials Ltd. apart is the fact that they provide an unrivalled 24-hour service. As well as complete vehicle / fleet maintenance, repairs, servicing, test preparations and CVRT testing, Tachograph calibration, speed limiter and vehicle plating , Clutch replacement, Air Con repairs and ABS & EBS Braking and Air Suspension repairs all carried out in an ideally-located, secure, modern, spacious facility –fully insured and manned by master technicians using the latest tools and diagnostic equipment, Kingswood Commercials Ltd also offer a 24/7 breakdown recovery service and are willing to collect and drop off trucks, vans and trailers at any time of day or night. No stone is left unturned in the commitment to guaranteeing absolute customer convenience and satisfaction. As the only man in Ireland who oversees a 24-hour repair centre, Shay Murphy certainly knows a thing or two about offering customers a unique and tailored service. “Navan Bus And Truck Ltd. was initially set up in 1999 to look after and maintain PSV vehicles before expanding into Dublin by acquiring this premises and then putting in the test centre and second workshop,”he reveals. “So we are coming very much from a background of understanding exactly what is required in terms of getting vehicles tested without having them off the road. The idea of waiting over a week to get a test booking is completely impractical for any haulier. “We’re expanding all the time and we expect to keep growing,”says Shay. all of whom are guaranteed professional and convenient testing/maintenance solutions. Kingswood Commercials Ltd. are also agents for Wabco, Knorr-Bremse, Webasto as well as running a Stoneridge tachograph dealership. Going forward, the prognosis is highly encouraging for this unique commercial vehicle workshop and test centre, which has cleverly tapped into a niche market by offering 24-hour services. Working around the clock to cater for commercial vehicle owners’needs, Kingswood Commercials Ltd. is a unique, progressive workshop and CVRT test centre with a big future.